Congratulations to Gina Boiardi (@Ginab7) and Claire Davies (@Gerbera4U) who are the winners of our James Bond / Catching Bullets and Only Fools and Horses competitions. 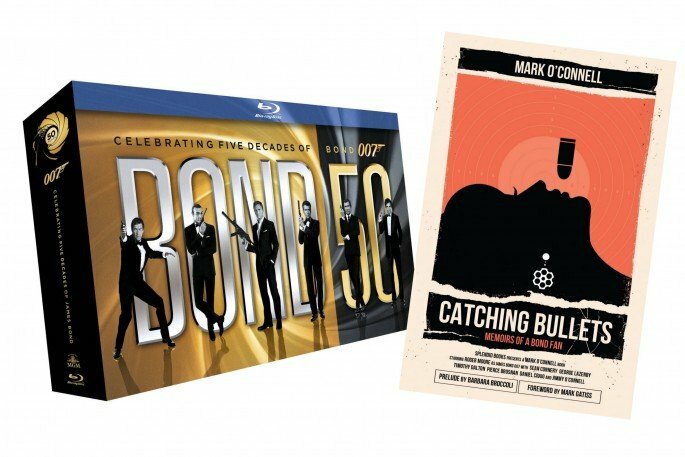 Gina is the winner of Splendid Books’ and author Mark O’Connell’s James Bond competition and has won the 50th anniversary Bond 50 Blu-ray Collection (worth £100). The set contains all 22 Bond films plus interviews and new material filmed on the set of the new Bond movie,Skyfall plus a signed copy of Mark O’Connell’s superb book Catching Bullets: Memoirs of a Bond Fan. Claire is the winner of our competition celebrating the launch of our official new book The Wit & Wisdom of Only Fools and Horses, compiled by Dan Sullivan and with a foreword by Sir David Jason. Congratulations to Claire and Gina and thank you to everybody who entered the competition – and don’t forget we’ve got a great deal running where you can buy The Wit & Wisdom of Only Fools and Horses and Only Fools and Horses – The Official Inside Story for just £9.99 (including free delivery) by clicking here. And, of course, you can get a copy of Mark O’Connell’s book Catching Bullets: Memoirs of a Bond Fan by clicking here. Don’t forget to follow @splendidbooks, @onlyfoolsbook, @steveclarkuk and @markoconnell for details about future competitions. Here’s a great The Wit & Wisdom of Only Fools and Horses offer! 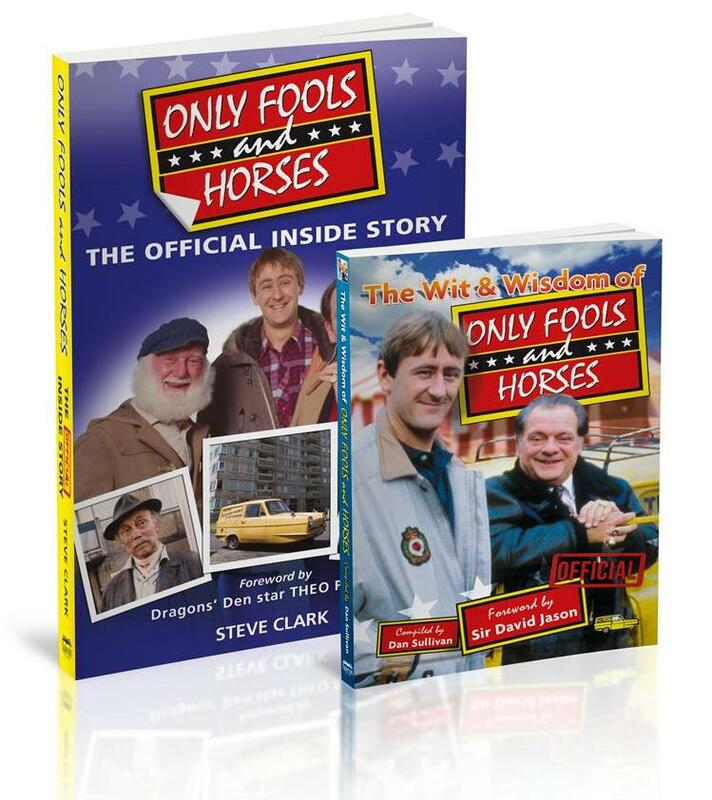 Here’s a brilliant offer: get our brand new official book The Wit & Wisdom of Only Fools and Horses, which has a foreword by Del Boy himself Sir David Jason, and Only Fools and Horses: The Official Inside Story by Steve Clark for the triffic knock down bargain price of just £9.99! This really is a pukka offer as the books usually sell for £4.99 and £9.99 each. The Wit & Wisdom of Only Fools and Horses compiled by Dan Sullivan, son of the show’s creator John Sullivan, contains the crème de menthe of the hilarious one-liners from Only Fools and Horses. The book is based on dozens of one-to-one interviews conducted by author Steve Clark with the show’s stars including Sir David Jason and Nicholas Lyndhurst and key members of the production team. Splendid Books has just received its copies of a brand-new Italian edition of Olga Watkins and James Gillespie’s acclaimed book A Greater Love. The true story of Olga’s incredible journey into the heart of the Third Reich to find the man she loves has been titled Ovunque Sarai in Italian which means Wherever You Are. “So many people have been moved by Olga’s remarkable story and we are delighted that our colleagues at Piemme in Italy have now published their own version,” says Steve Clark, Publishing Director at Splendid Books. Ovunque Sarai was published in hardback in Italy last month and is available to UK buyers from Amazon.co.uk. The English version is available here. Piemme bought the rights to publish A Greater Love in Italy from Splendid Books in a deal brokered by Cathy Miller of The Cathy Miller Foreign Rights Agency.